City Saver Coupon Book Fundraiser starts soon! 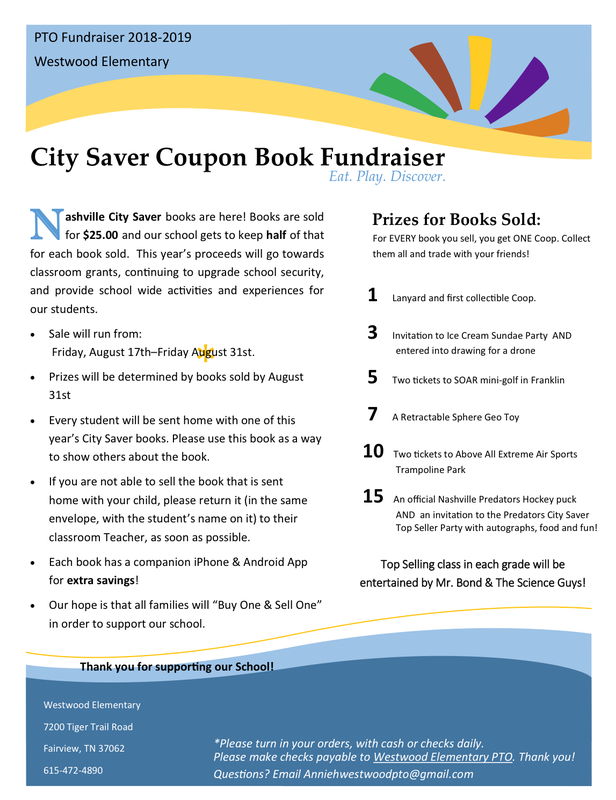 Our PTO is raising funds for our school by participating in the City Saver Coupon Book sale. One book will be coming home with each student on August 17th. Our hope is that each family will “Buy One and Sell One.” Please either purchase, sell, or return the Coupon Book that is sent home with your child. Send in cash or checks and additional requests for books on the envelope provided and return to your Classroom Teacher. Books cost $25 each and our school gets to keep half of that. Thank you for participating in this fundraiser!